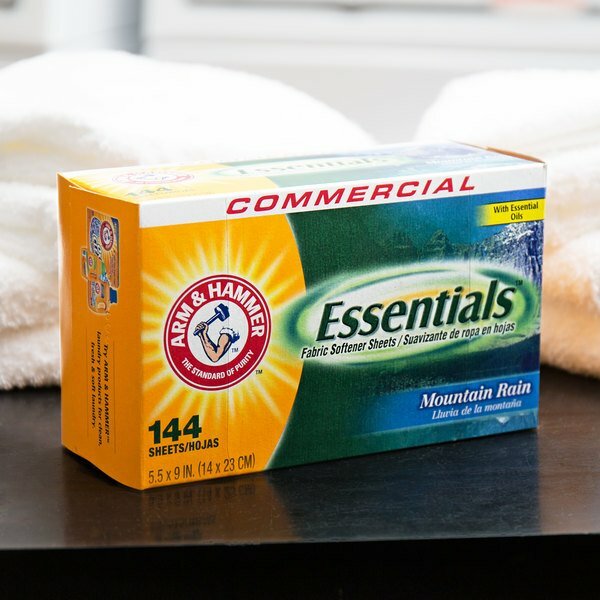 Arm & Hammer Essentials fabric softener sheets are the perfect way to ensure your laundry is as soft and fresh as possible! Each sheet contains biodegradable softening agents to relax and soften fabric fibers, making your bed sheets, towels, and robes delightfully soft and comfy while also effectively eliminating static cling. The combination of the natural essential oils and relaxing Mountain Rain scent give your laundry a pleasant, calming essence. With both the biodegradable softening agents and the natural essential oils, these dryer sheets harness the power of nature all while being an environmentally responsible dryer sheet option. This conveniently sized box contains enough sheets for up to 144 loads of laundry. Simply place a new dryer sheet on top of wet, clean laundry in the dryer and allow the natural oils and biodegradable softening agents to gently freshen and luxuriously restore your fabrics. Add two sheets to the dryer for larger loads, or if you just want some additional softness! 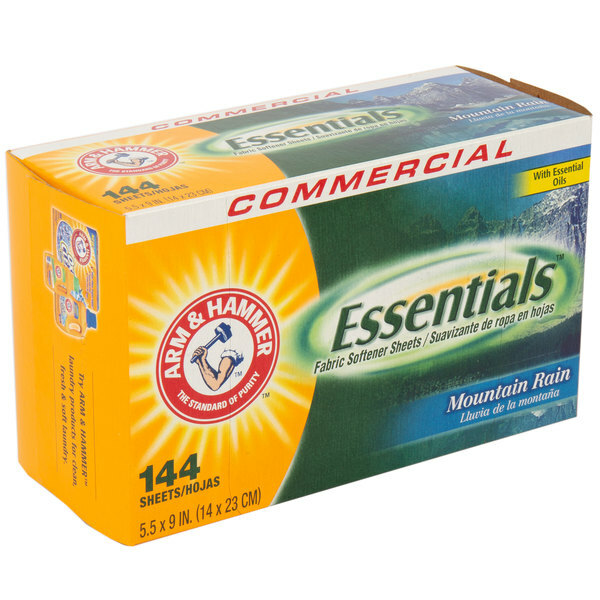 I absolutely love this Arm & Hammer 144-Count Essentials Mountain Rain Dryer Sheets. It smells really good and the price is good too. I will definitely purchase more of these. I absolutely love arm & hammer laundry products. they are one of my favorite brands because they are cost effective and they work hard. these arm & hammer mountain rain dryer sheets smell fabulous. they make my house smell good too. its a strong scent without being over bearing. My daughter has sensitive skin and these do not bother her at all. This 6 pack is also a great investment. These large packs last us a while so having 5back ups, means we wont have to re order for a while which is nice not having to worry about running low anytime soon.